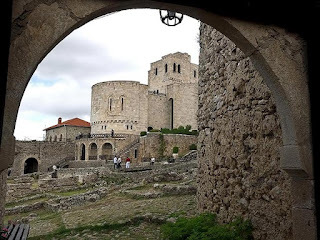 Lately there are many bloggers writing about Albania, but American blogger Barbara Weibel brings a very interesting point of view while describing the history and the places she has visited in our country. 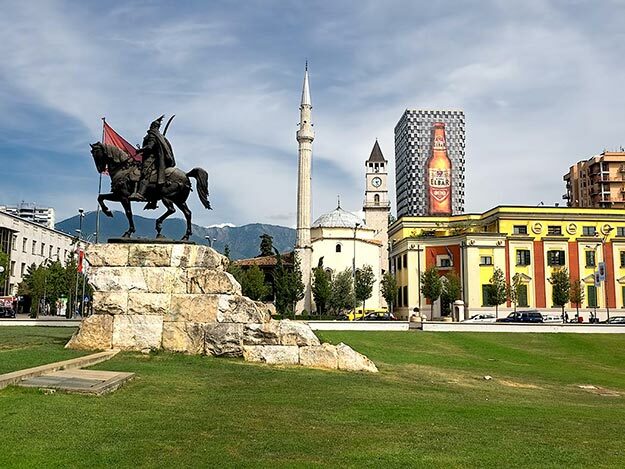 She stayed in Albania this summer, but she posted 5 articles with photos about Tirana, Kruja, Albanian Traditional Food and Albanian history. Here is a summary of her last article posted in her website: http://holeinthedonut.com/ tittle: Albania the Holy Grail for Intrepid Travelers. Today, Albania is rushing to catch up. In Tirana, there are few sights beyond Skanderberg Square, but the air virtually crackles with exuberance. Each night after work, young professionals gather in the city’s ubiquitous cafes and coffee shops, where they spend hours discussing politics and planning for the future. Most speak at least some English and the literacy rate is high. New buildings are springing up everywhere, especially hotels, intended to service the tourists that Albania hopes to begin attracting. Despite the enthusiasm for tourism, travel to Albania is still challenging. Passenger trains are non-existent and there is not a single bus station in the capital. Buses congregate in dusty, rock-strewn lots, the location of which are known only to locals. Indeed, when it was time to leave Albania, I discovered that there were no buses running between Tirana and Podgorica, the capital of Montenegro, a mere 98 miles apart. Just crossing a street on foot in Tirana can be a dangerous proposition. Drivers speed up at pedestrian crosswalks, and the only way to cross is to step out into traffic and force vehicles to a screeching halt. Yet despite all the inconveniences, Albania grew on me. The friendly people won me over, the food made me drool, and the history fascinated me. Though I hadn’t planned on venturing beyond the capital, I was anxious to see more, so I arranged for a personalized day trip that took in Kruja, one of the country’s most important historical cities, and Durres, the country’s largest port. The longer I stayed, the more I wanted to explore the rest of this remarkable but little known country. From Berat, known as the city of 1,000 windows; to the golden sand beaches of the Albanian Riviera and the country’s 14 national parks; Albania is the Holy Grail for intrepid travelers. It is raw, it is real, it is thoroughly fascinating, and it provided an experience unlike anywhere I’ve ever been before.